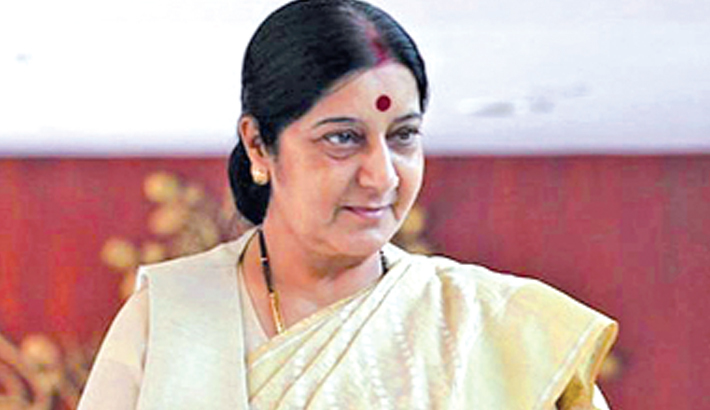 Male: The Maldives on Monday reaffirmed its “India-First Policy , saying it looks forward to working closely with India on all issues and will remain sensitive towards its security and strategic concerns as External Affairs Minister Sushma Swaraj held talks with the country’s top leadership, reports PTI. “Foreign Minister Shahid reiterated his government’s “India-First Policy and said that his Government looks forward to working closely with the Government of India on all issues. He also reiterated that the Government of Maldives would remain sensitive towards India’s security and strategic concerns, “ according to a joint statement. Maldives is an important country for India’s maritime security and there have been concerns in India over China’s growing influence over the country in the last few years. Shahid expressed the commitment of the Maldives to support efforts to combat terrorism, particularly cross-border terrorism, and crimes such as piracy, organised crime, narcotic drugs and human trafficking. They reiterated the importance of an effective multilateral system as a key factor in tackling global challenges and agreed on the need to pursue reform of the main UN bodies, including the General Assembly, and the UN Security Council. The two sides signed three agreements, including on exemption from visa requirement for holders of diplomatic and official passports, an MoU regarding Indian grant assistance for implementation of high impact community development projects through local bodies and a pact on collaboration in the field of energy efficiency and renewable energy. Shahid thanked India for its support towards the renovation of Indira Gandhi Memorial Hospital (IGMH), which stands as an enduring symbol of friendship between the two countries. The IGMH is the first and largest government healthcare facility in the Maldives, built with Indian assistance. Shahid also thanked India for providing financial assistance in the form of budgetary support, currency swap, and concessional lines of credit to the island nation. Welcoming the increase in trade volume over the past few years, both foreign ministers agreed to improve connectivity as a means to promote the exchange of goods and services, culture, and people.The ministers also agreed on the need to boost private sector involvement, and to hold the Maldives-India Business Forum in 2019. Shahid expressed the government’s appreciation for the continued support extended from India towards the development of human resources, including capacity building programmes, and provision of training and scholarship opportunities. He highlighted in particular, the 1000 additional slots over the next five years for training and capacity building, announced during the State Visit of President Solih to India. Highlighting the importance of combating the impacts of climate change, especially detrimental to developing countries, including Small Island Developing States, the Foreign Ministers agreed on the need to strengthen the global response to climate change, through multilateral forums including the UNFCCC and the Paris Agreement, the statement said. Swaraj reiterated that India attaches the highest importance to its relationship with Maldives, which is marked by trust, transparency, mutual understanding, and sensitivity. She said that in line with Government of India’s ‘Neighbourhood First’ policy, India stands ready to fully support the Government of Maldives in its socio-economic development.